If a person addicted to heroin is ready to obtain help, the Brick Township Police Department is there to provide it. 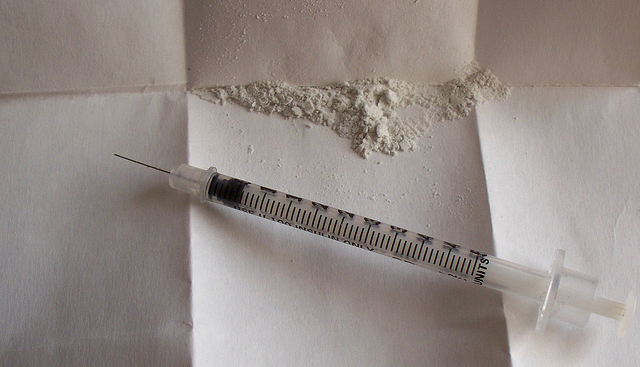 Officials announced Monday that Brick and Manchester would pilot a program wherein heroin addicts could come to the police department one day a week, turn in their substances without the fear of criminal charges being lodged, and immediately receive treatment. Officers would also be able to recommend the program to addicts they encounter outside the station. Known as HARP – which stands for Heroin Addiction Response Program – the initiative has been created through a partnership between the two police departments and the Ocean County Prosecutor’s Office, as well as Preferred Behavioral Health and Integrity House of Toms River. The premise of the program is simple – any person who voluntarily enters the two participating agencies and requests help with addiction to heroin or opiates or any substance shall be immediately screened for potential participation in HARP. Although HARP is primarily designed to apply to persons who present themselves at the station, an officer who encounters a person outside the police station believing they would benefit from HARP has the discretion, based upon their training and experience, to the bring an individual to the police station if the person consents to the voluntary screening process, said Al Della Fave, spokesman for the prosecutor’s office. The officer or shift supervisor, upon completion of the HARP screening process, will provide transportation for the participant to the designated provider as soon as reasonably possible. Those fighting addiction, regardless of their residency, can go to the Manchester Police Department on Wednesday or Brick Police Department on Thursday to seek immediate critical help in fighting drug addiction, said Della Fave. Ocean County, embroiled in an opiate addiction crisis, has piloted previous programs aimed at tackling the issue. The county’s first responders were the first in the state to be equipped with Narcan, a drug that can reverse an opiate overdose, and the Recovery Coach Program, which helps provide treatment options for overdose victims.